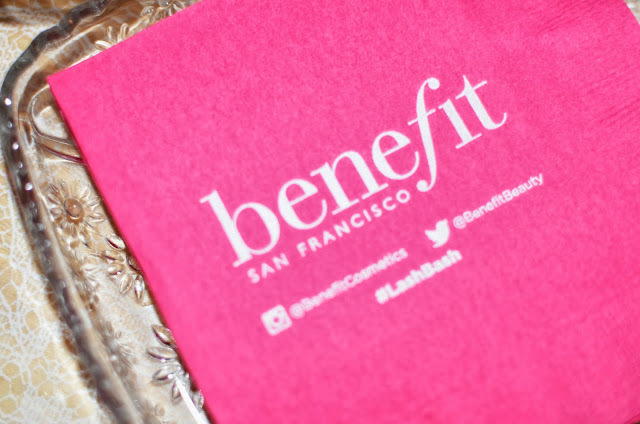 A few weeks ago I was one of 1,000 lucky ladies chosen to host a Lash Bash Party for myself and nine friends from Ipsy and Benefit Cosmetics! 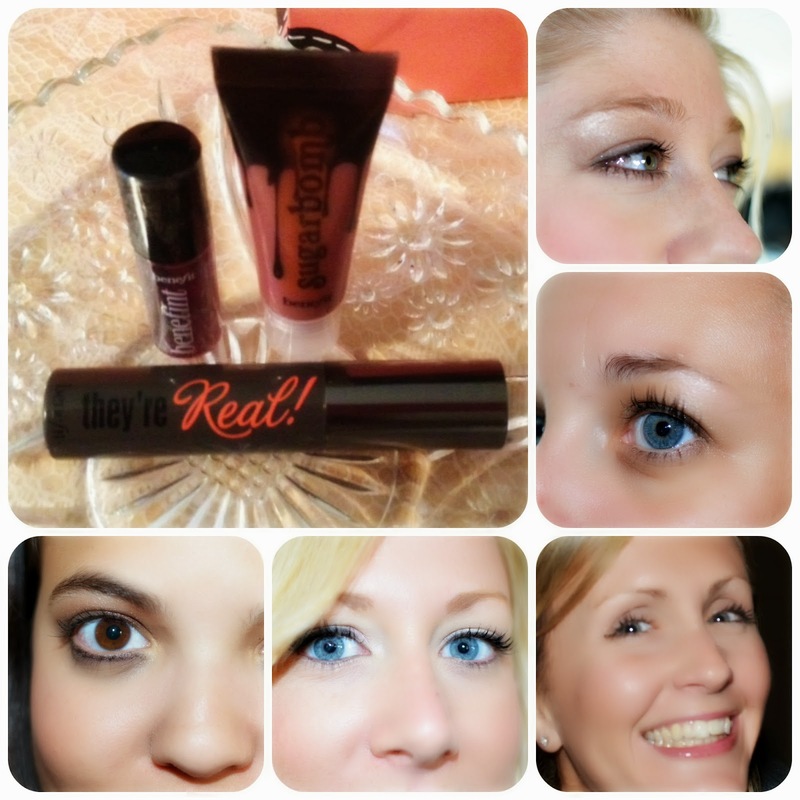 The Lash Bash parties were to celebrate the amazing "They're Real" Mascara! Each party was held on the same day, September 21st! Ipsy and Benefit sent me a party kit full of games, decor, swag bags, and of course makeup for me and my guests to try! 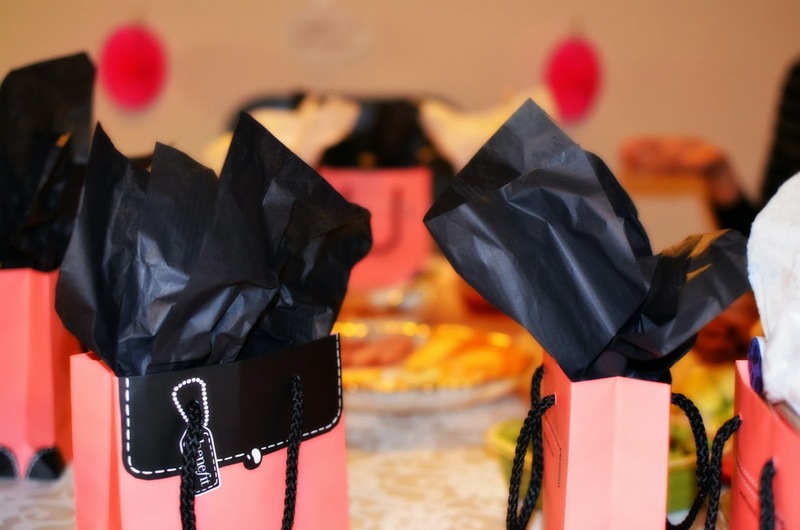 It was such a good excuse for me and my closest girlfriends to plan a girls night in! We are all over the place these days with our families, jobs, and significant others, that we rarely get to all hang out together and just have FUN! Pre-Party prepping! Getting the table all pretty for my guests to arrive. 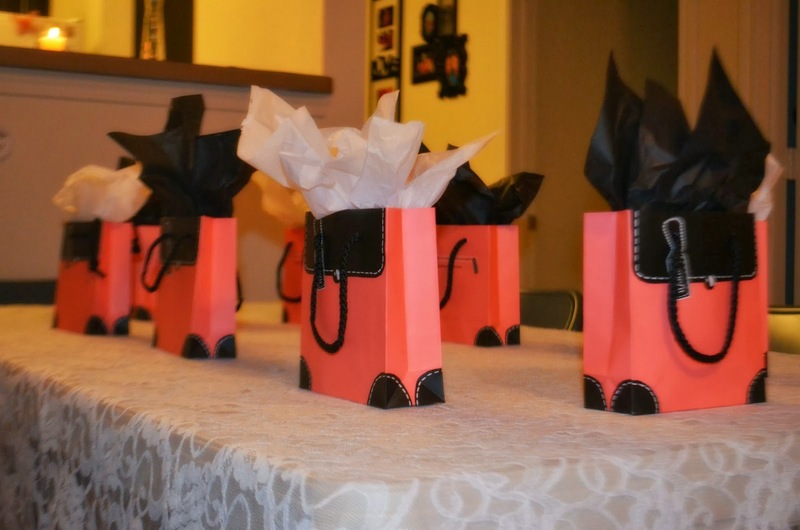 I was so excited to surprise my friends with swag bags! The snack table was out of control with good food! 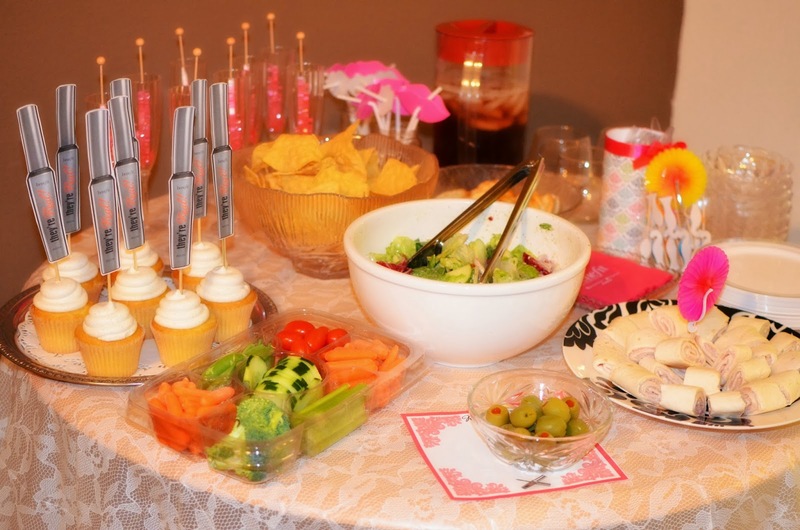 Everyone brought all kinds of snacks to munch on while we hung out, talked, laughed, and tried out our new Benefit makeup. Delicious Vanilla Bean Cupcakes made festive with "They're Real" Mascara of course! 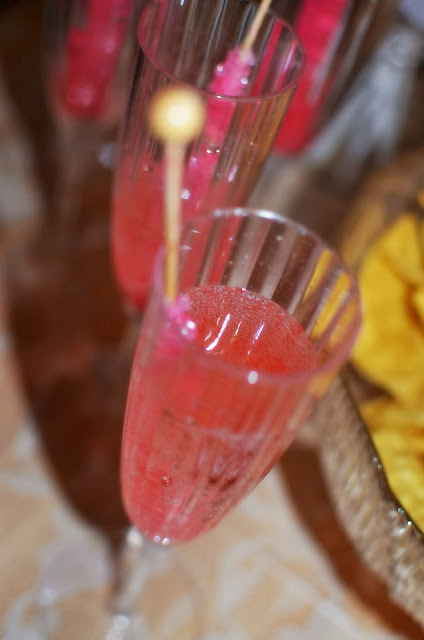 Bubble Gum Champagne Sparklers were a huge hit! 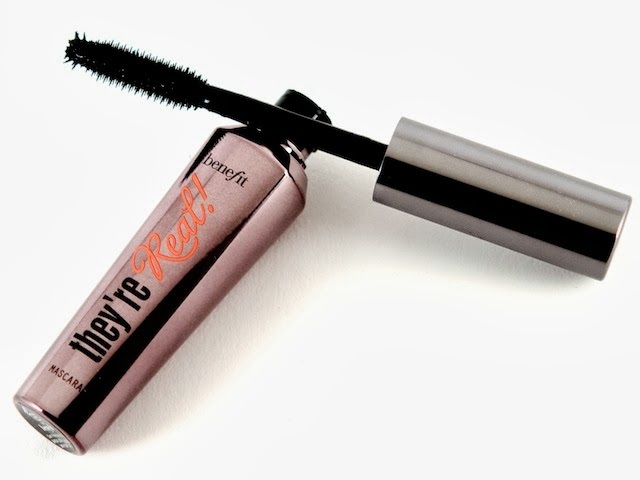 If you are unfamiliar with Benefit Cosmetics, you should read about the history of the company here! 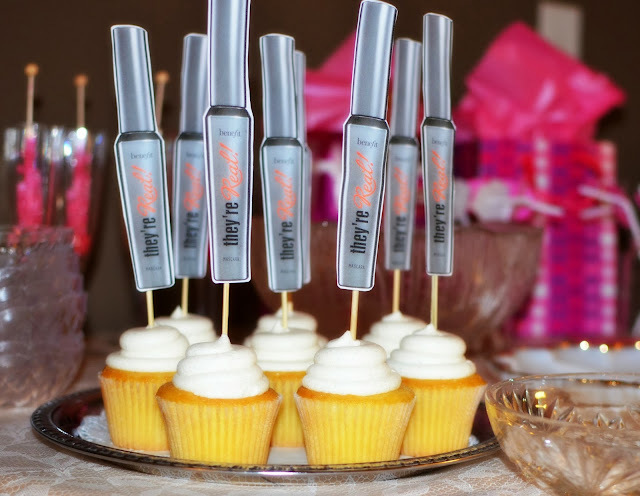 This fun, creative, and innovative makeup company has some awesome products and the best names to go with them! Ipsy...beauty by you, is an online website that allows you to discover new beauty products based on your personal preferences. 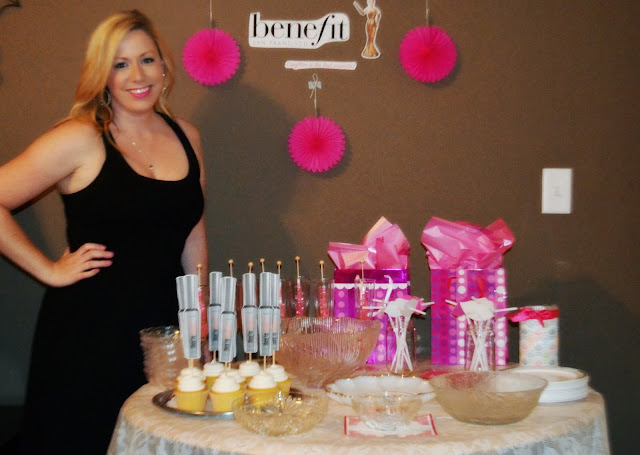 A beauty stylist will pick new products that you may like to try before committing to buying the full sized product. 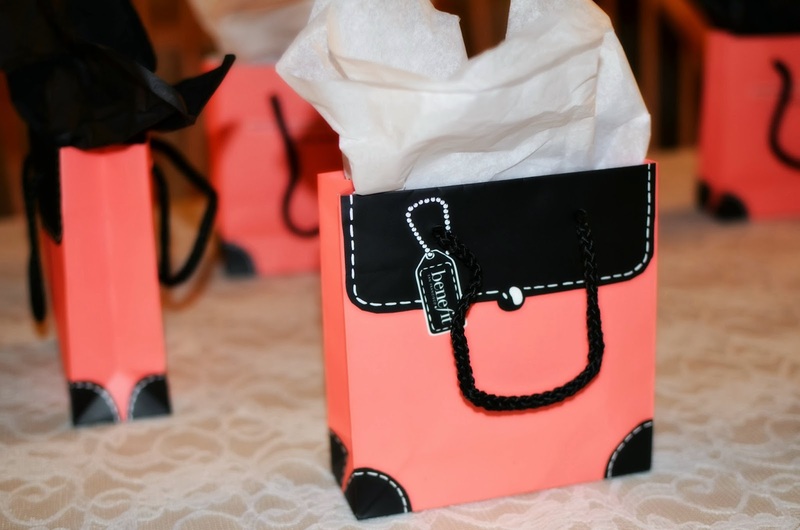 You can also subscribe to receive $10 "Glam Bags" once a month filled with new products. 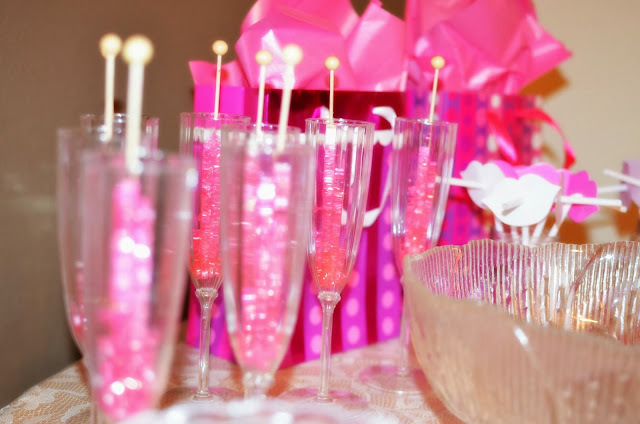 I got plenty of party planning ideas from Pinterest, including this fun idea with rock candy and champagne! YUM!!! This is a great holiday idea too! My party swag bags were filled with three benefit products to try out, the They're Real Mascara, Benetint cheek and lip stain, and Sugarbomb lip gloss (which I really love!) and just for fun I gave each of my friends a new nail color and nail file. Thank you IPSY & BENEFIT COSMETICS for choosing me as a Glambassador and Lash Bash Hostess! I had a great time with my girlfriends and loved the new makeup! Thank you to one of my besties Candace McRae of McRae Marketing and Design for taking such gorgeous pictures!